You’ve probably seen a lift station, but haven’t really noticed it. That’s because lift stations are built to be unobtrusive – small buildings that blend into the surrounding neighborhood. There are fourteen (14) lift stations throughout the District. 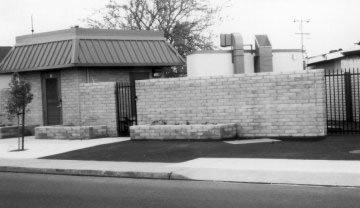 These unpretentious structures play a major role in Oro Loma’s sanitary system. There are over 280 miles of sewer line in the District, enough pipe to stretch from San Lorenzo to Bakersfield. As wastewater leaves your home, it flows by gravity through these lines to the treatment plant. 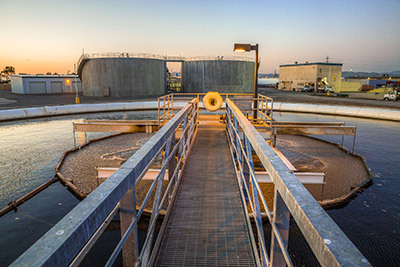 Often, wastewater needs an extra boost to make it to the plant. That’s where a lift station comes in. District lift stations can pump up to 3,000 gallons of wastewater a minute to the treatment plant. All lift stations are connected to a central computer at the treatment plant through a new radio communications system. The plant operates 24 hours a day, and the computer is constantly monitored. Any problem – from difficulty with radio communications to total loss of power – will immediately set off an alarm alerting plant personnel. Five of the stations are equipped with emergency engine-generators that will automatically start up and operate the station in the event of an interruption of power. Items in the wastewater system that do not belong there are a common cause of lift station problems. As a District resident, you can help assure the efficient operation of this vital part of the sanitary system by making sure nothing is flushed into the system that doesn’t belong there. Rags, plastic, latex, grease, fat, and meat trimmings cause particular problems for lift stations.